I recently stayed at a Double Tree Hotel that provided a copy of the U.S.A. Today every morning to guests. I had previously read this newspaper, but it had been several years since I had seen a copy. I couldn’t believe what I had been missing. 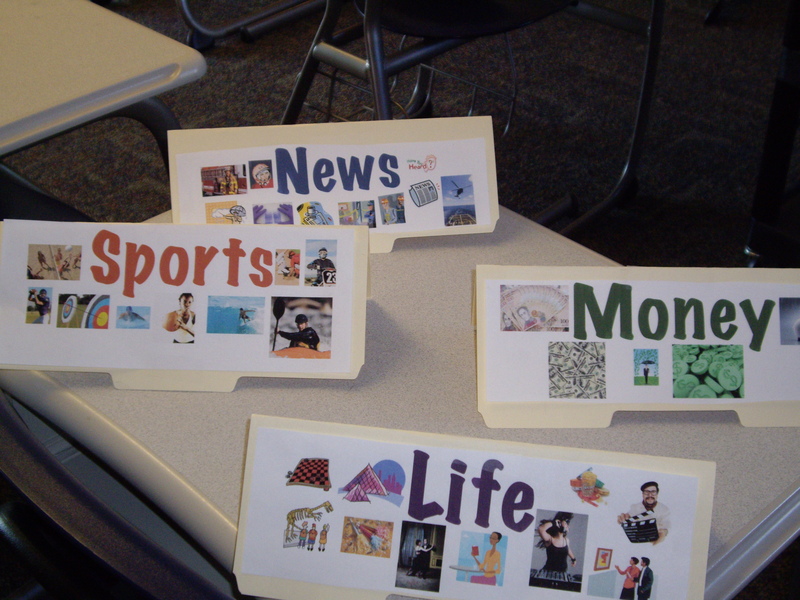 I immediately had so many ideas for skills that I could use the newspaper to teach my classes. I began on Wednesday. I got four copies of the same newspaper (back issues) and separated them into the four sections (news, sports, life, and money). Newspapers setup and ready to be used. 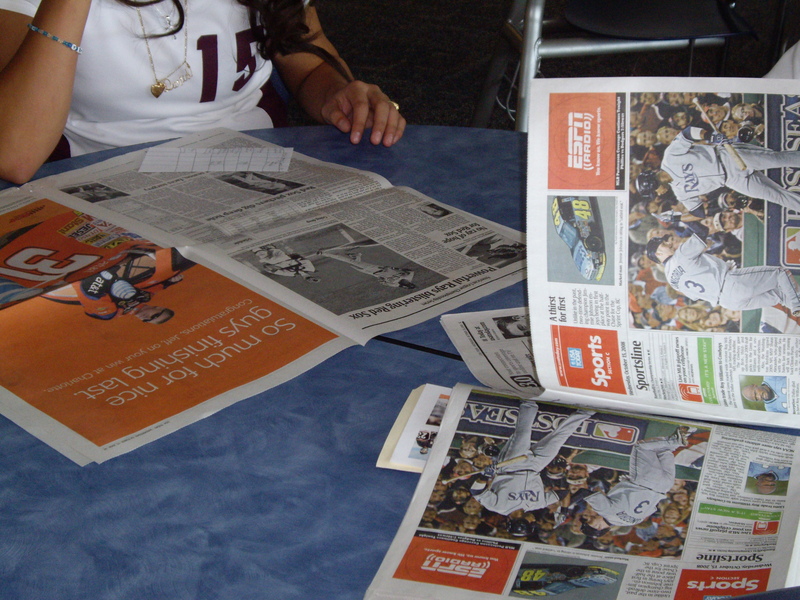 I decided that my students needed basic exposure to the newspaper and the structure used to convey the information. I decided that a great place to start was text features. This is such an important concept to help students find information in non-fiction text, and they don’t always get explicit instruction in it, and I know that they need it. I decided that I would first start with a “brain dump”. Instructions students had to follow. I had them write “text features” at the top of a blank page. 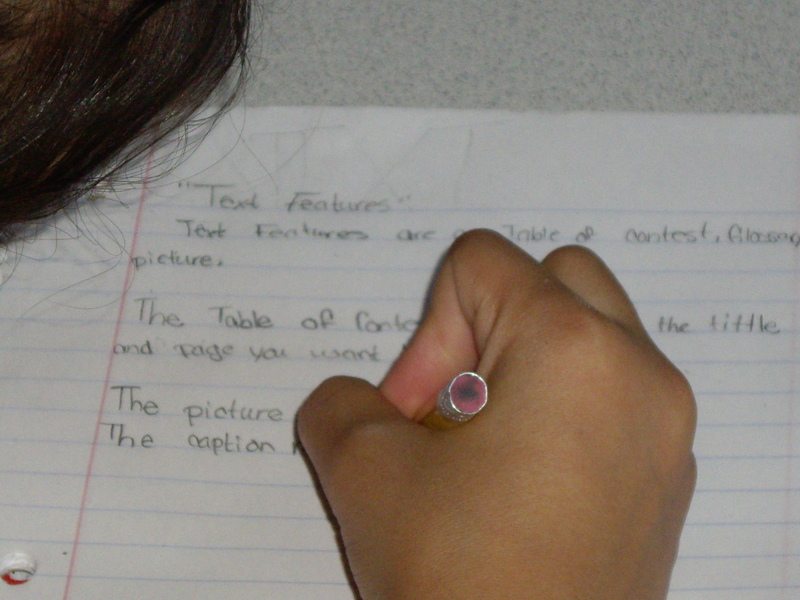 I then asked them to write everything they knew about text features on that page. 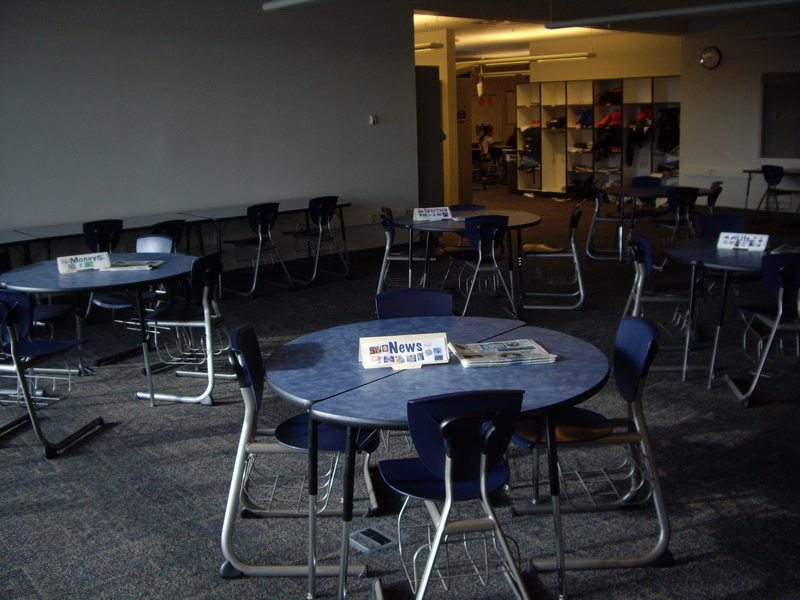 I walked around the classroom while students were working. I noticed that no one had any information written down. I realized that they probably did know something about text features, but that they weren’t aware of what they were. I then picked up a text book and visually showed them some of the text features. As soon as I did that, I got a couple of “Ah’s” from various students. I then asked them what some of the text features I had shown them were. They started listing some and explained how they could be used. After that, I asked them again to write down everything that they knew and the pencils started flying. After a couple of minutes, I asked for them to share additional information that they had written. 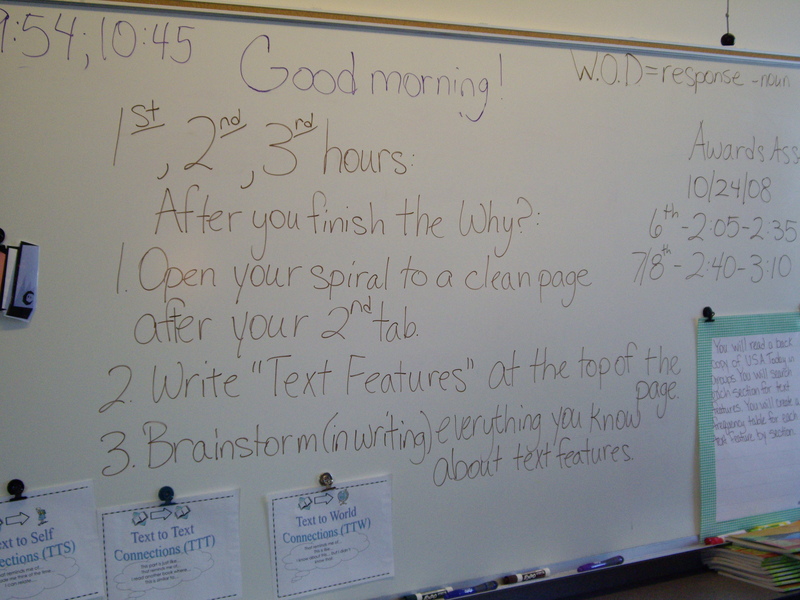 I then asked about other places that text features are used, and several students did say a newspaper. 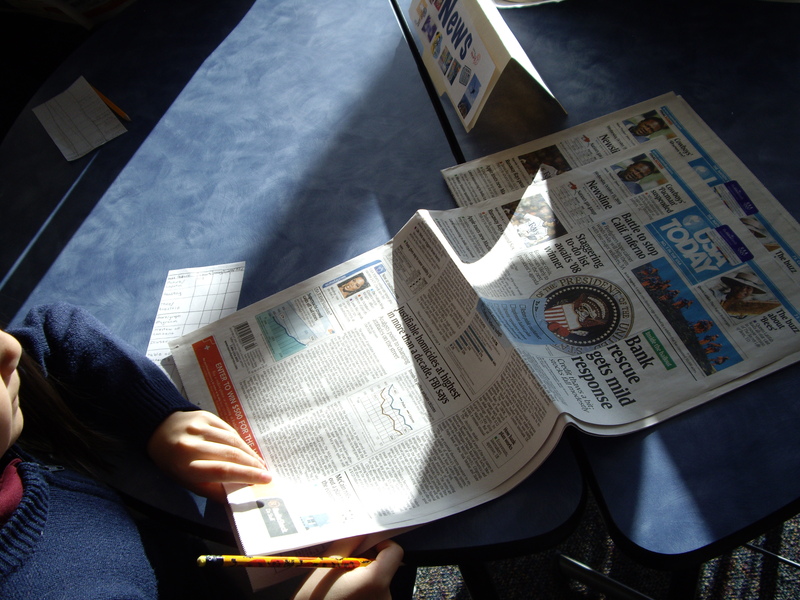 I showed them the newspaper that we were going to use to look for text features. I knew that my 6th grade students had been studying frequency charts, so I decided that we would create a frequency chart for text features. I gave each of them a small piece of paper and had them copy down various text features and the four sections of the newspaper. 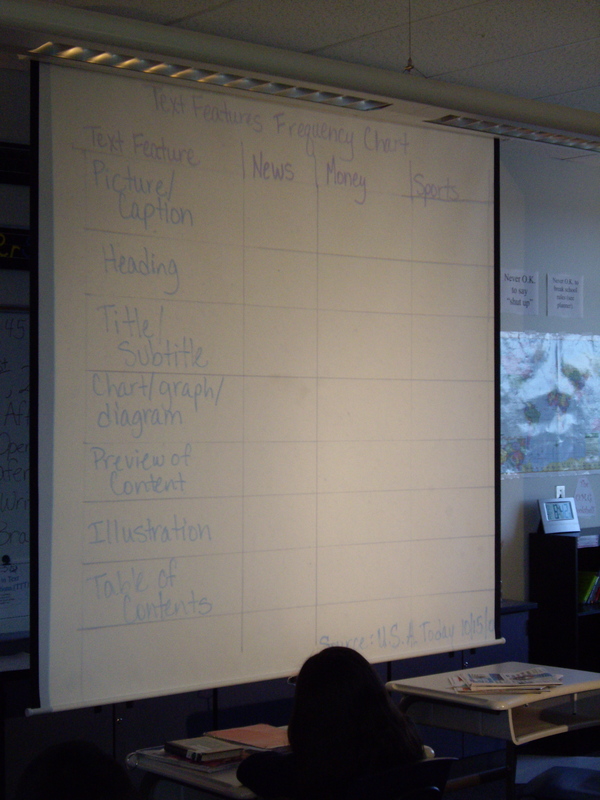 After they finished making the chart, they were told which section to begin working on. They had approximately seven minutes to find as many of the text features as they could in that section. They used tallies to record their information. If they had questions, they could ask other members of their group. If their group members didn’t know, they could ask me. It went really well and I was able to explain so many different types of text features and how they were used in real life. My next activity will be to have them return to their original “brain dump” and write all of the new information that they learned about text features. 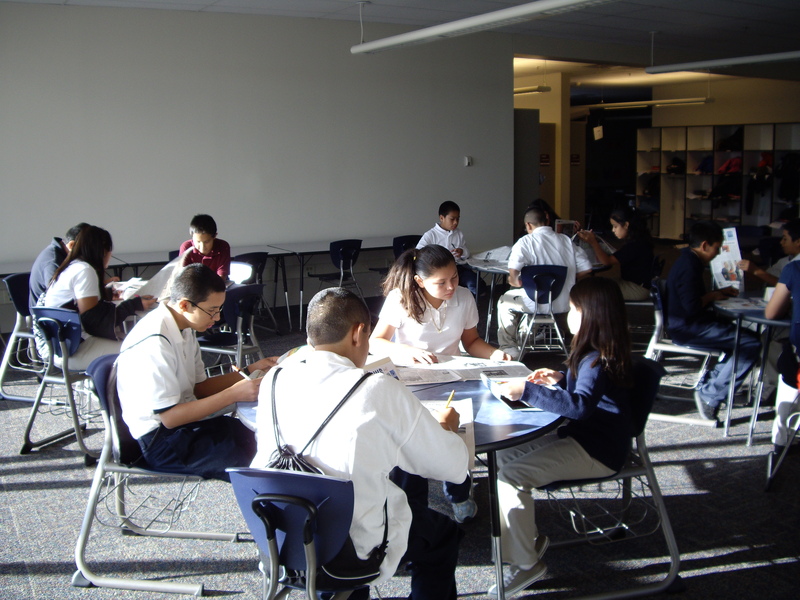 They will then analyze the data that they collected- looking for trends, explanations in the numbers, and commonalities that they see across sections.